HABIT: Small off-white flowers from July to October, clusters of red berries in the fall. 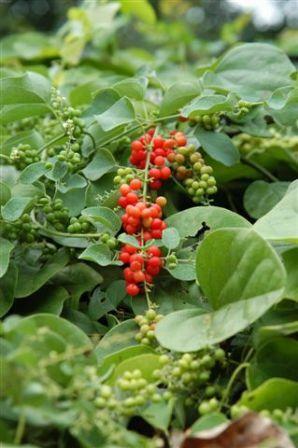 CULTURE: Fast growing twining native vine with heart shaped leaves and unspectacular flowers, followed by showy clusters of bright, shiny red berries. Vine looks like greenbriar but less lobed and has no thorns. 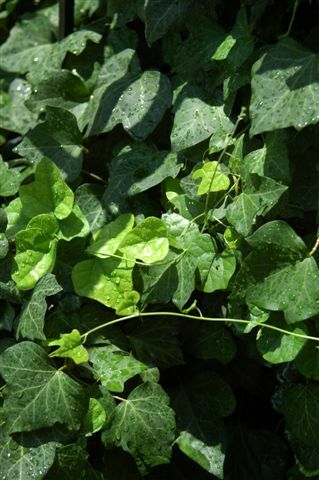 USES: Native vine, food for wildlife. 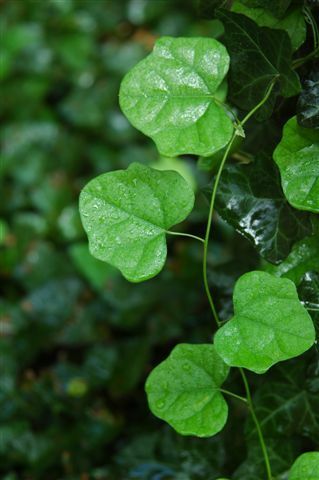 PROBLEMS: Considered a weed by most but actually a pretty nice looking vine when kept under control. The problem is that will spread quickly to become quite a pest. It's best to not let it get started.